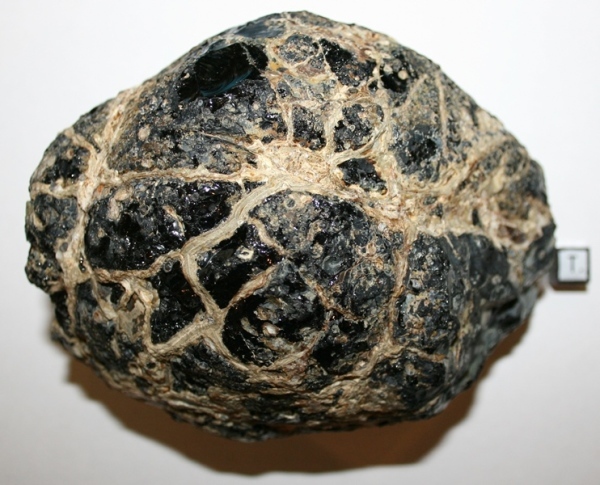 Tektites formed from molten globules and have spherical, discoidal, dumbbell and teardrop forms. 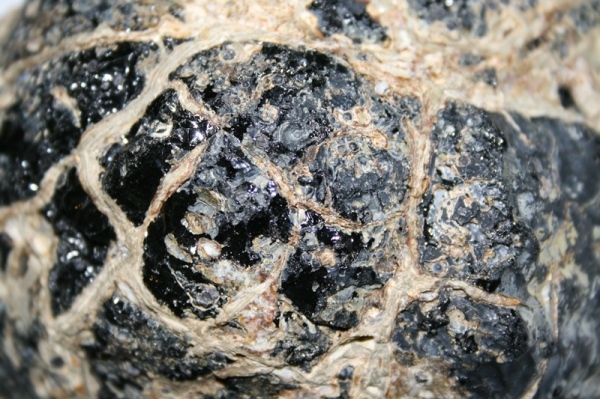 Obsidian, when water worn may also be spherical in morphology but the other forms are absent. Tektites passed through the atmosphere and therefore have distinct features such as spallation patterns, non-random navel distribution. When etched, sculpturally tektites look quite different to obsidian. Tektites cooled from the outside-in and may therefore exhibit radial features. Obsidian is water worn from a larger block. Obsidian typically exhibits layers. True tektites do not. Muong Nong layered tektites / impact glass do exhibit layering. Truncated layering in a rounded form means that the specimen, be in a layered tektite or obsidian, has been water transported: this is not a primary shape. If grey and lavender hues are seen in transmitted light then it is obsidian. Tektites are usually in the coffee-olive brown or greenish brown or green, sometimes yellow-green colours. A brownish grey colour is obsidian. Any hint of grey and it's not a tektite. Obsidian has a much higher water content. You can test this in a university laboratory. A destructive method is to blow torch the tektite (wear goggles). If it bubbles and froths then it hass a high volatile content and is obsidian. This isn't a precise method though. Obsidian may show slight attraction to a strong magnet, again not a precision method. So, there are usually distinct differences that allow an expert to readily differentiate between tektites and obsidian. There is also overlap. Some pitting in obsidian can resemble heavily weathered proximal forms, although usually there are sufficient differences and morphologically a proximal assemblage should contain numerous dumbbells, which are absent in an rolled pebble obsidian assemblage. Layered tektites and obsidian present a much greater problem and one often needs to view a small chip in transmitted light to be certain - a large block may look similar. 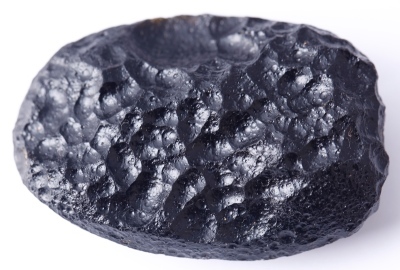 Obsidian is typically of low value, whereas tektites can be of high value. Be very cautious if you are uncertain. Many people (experts included) have been caught out by obsidian, especially when buying from photographs. You see an abnormally large specimen. It looks OK, but something is not quite 100% about it. Maybe the location is questionable or the sculpture isn't quite right. Take a step back! It might be obsidian. Try and buy in strong daylight, or take a torch. Find a thin slither. If you see any hint of grey or lavender then it's obsidian. Even a brown with a hint of grey is obsidian. Brown with a greenish hue is more likely a tektite. Always look for a greenish hue. Obsidian can rarely be green though, so be warned! Also be warned about man made slags and glasses. ABOVE: Amerikanites (not true tektites). The top row is Healdsburg Glass from California and the bottom row is Safford Glass from Arizona. A 23mm diameter Euro coin is provided for scale. Image courtesy of Brian Burrer. ABOVE: Pitting in Healdsburg Glass, a pebble of volcanic obsidian, from California. Images courtesy of Brian Burrer. ABOVE: Pitting in low grade genuine Indochinites. As obsidian and tektites are both natural glasses they can sometimes have similar surface sculpture. ABOVE: Obsidian from Bicol, Philippines. This particular obsidian was easy to differentiate from a tektite as it had weathered veining and an amygdaloidal texture, which tektites never have. ABOVE: Obsidian from Davao, Philippines. Obsidian like this can look exceedingly similar to layered Muong Nong-type tektites. ABOVE: A geunine low grade layered Muong Nong-type tektite from Laos / Thailand.